If it wasn’t your grandmother someone did. One of the most popular urban myths around is that human heads are the equivalent of single-glazed windows, a device so adept at shedding heat you could make toast by holding a piece of bread above your crown. Let’s blame the US Army. A version of their field manual once claimed that “40 to 45 percent of body heat” is lost through the head. When the experiments you carry out involve people standing around in the cold all wrapped up except for their heads this is no doubt true. Can anyone spot the design flaw? LiveScience.com can. They quote subsequent studies which found that, actually, only around 7-10% of heat is lost through the head. That’s still a fair bit, of course. Your grandmother may have been wrong about the facts, but her instincts were strong. If you’re out in the cold it’s vital to insulate your head, but with so many different styles of headwear on the market how will you know which winter hiking hat is right for you? Hats come in all shapes and sizes – and so do faces. Do you have a round face, an oval face, a square face, a triangle face, an oblong face or a heart-shaped face? Perhaps you’ve never thought about it before, perhaps you don’t want to know if you have a “triangle face,” but understanding the shape of your face can help you pick out the best style of hat for you. Let’s be honest, hats are adept at making people look silly. No one’s dad suits baseball caps, but they almost all wear them. Visit this page for a wikihow guide on how to determine the shape of your face and for information on what kind of hats are likely to suit you. It should probably go without saying but you’ll also want a hat that fits! Check out this hat size guide to make sure you pick the right size for you. From fashion to function. Whatever style of hat you choose is going to face a severe test in the winter. It’s going to be cold so the hat will need to be nice and warm, but if it’s too adept at retaining heat you might feel sweaty and stifled. There’s a high probability that the hat will get wet, either from perspiration or freezing winter rain, so it needs to be able to cope with this, too. Cotton is not a specialised hiking material. As gizmodo.com explain in detail “cotton garments can absorb up to 27 times their weight in water, something which means they a) take forever to dry out and b) actively work to cool your body in even moderate temperatures.” Wearing cotton in extreme conditions is a recipe for disaster so avoid cotton hats at all costs if you’re going hiking in winter! Merino Wool is the best natural alternative to cotton. It dries faster and, even more significantly, retains its properties of insulation even when wet. On top of this merino wool works to wick sweat away from the skin, helping to keep the inside of your hat dry, and has natural odor resistant properties which, let’s be honest, men’s hats need! Synthetic fabrics, particularly polyester fleece, ape many of the performance characteristics of merino wool. They are breathable, warm and can be treated with antimicrobials to minimise odors. Synthetics tend to have a quicker drying time than merino wool, though their odor resistance usually isn’t quite as strong. Have you ever suffered from hat itch? If you have I’ve no doubt even the memory of it inflames your scalp. Those pangs of prickly heat that congealed and intensified until you were forced to rip your hat off and tousle your hair like a man possessed! If you’re going hiking in winter it’s vital that your hat is comfortable and that you avoid the purgatory of being miserable with a hat on and freezing without one. Wool has a reputation for being an itchy fabric – a concern for those considering merino wool – albeit Oureverydaylife.com note that it’s usually coarse wools which cause itching and that, as merino is a softer wool, many find it doesn’t “irritate their skin as much.” Your best bet might be to try out a hat for a prolonged period before deciding to take it on a winter trip. This emphasises the importance of picking the best winter hat for hiking or beanie made from breathable materials that wick sweat away from the skin. Winter hiking hats must be durable, first and foremost. Like any outer clothing layer they will take a lot of abuse in the winter. Whipping winds, snow, sleet and rain will assault them from the outside. Your sweat will pester them from the inside. It’s vital that the hat you choose has strong enough stitching and materials to withstand all of this but, assuming it does, are there any bonus features you should look for? How about a hat that comes with a fold-up balaclava that can be unravelled to protect your face and neck? We’d all have been thankful for that on days when the wind turns and lashes freezing rain at your face! In truth, any hat design that offers increased coverage or versatility is worth considering if you’re preparing to face nature at its starkest. The salesman traipses away, tail between his legs, and returns with five different hats for you to have a look at. The first product the chastened salesman brings to your attention is this beanie made from merino wool, which, I’m sure you recall, has many advantages for winter hiking. Indeed, not only does this beanie wick moisture away from the skin, insulate even when wet and resist odors, it is fire resistant. Anyone who’s ever tried to operate a gas stove inside a tent will take comfort from this! The beanie is marketed as one-size-fits-all – a bonus for those who consider themselves between sizes – and has flatlock seams for durability. It is also machine washable and dryable – not always the case for merino wool garments. The salesman looks pleased with himself – this beanie ticks a lot of boxes. Impossible to order the wrong size! Marketed as a midweight beanie, meaning it is recommended for three-season wear but not as an expedition hat “suitable for the coldest climates and true expeditions.” If you’re really taking on the cold you’ll want to go up a level of gear. Question: which part of your head gets the coldest when it’s uncovered? If you’re anything like me you’ll be shouting ears! ears! Mine may be bigger than normal but, stuck out there, everyone’s ears are an easy target. The Mountain Hardwear Dome Perignon is specifically designed to provide full coverage and warmth to the ears, with an ear band lined with fleece to provide extra insulation where it’s needed most. The hat is fully synthetic with a windproof outer layer made of AirShield™ technology and a Jacquard Sweater Fleece body that provides insulation and is fully breathable. Where has it been all my life? Because of the irregular shape of the hat it also provides some protection to the back of the neck – another cold spot. The dutiful salesman now produces the third product of the five. It’s another Mountain Hardwear hat but, as the name suggests, is a smaller, lighter version of the Dome Perignon. If you’re a convert to the new trend of lightweight or ultra-lightweight trekking this could be the hat for you. Weighing a mere one ounce (almost a third of the Dome Perignon’s 2.8 ounces), the Mountain Hardwear Micro Dome is fully synthetic and uses polyester fleece to provide warmth. The hat does not, however, promise the breathability or windproofing of its heavier counterpart. Indeed, according to its makers it is designed for use under “a hood or helmet.” If you’re a climber, snowboarder or lightweight trekker planning to use the hat in conjunction with a water and windproof hood, this could be the hat for you. The hat is not suitable for winter hiking in isolation. It is designed for use in extreme environments under a hood or a helmet. This Outdoor Research beanie has a similar design to the Mountain Hardwear Dome Perignon, with an earband that contains a double band of fabric to increase warmth. 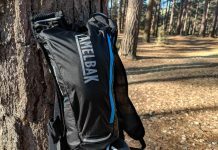 It is also made from synthetic materials – 84% Polyester and 16% Spandex – and uses Polartec® WindPro® fabric to provide protection from the wind. The hat is breathable and marketed as “water repellant” – though note there is a difference between water repellant and waterproof. Another one that ticks more than a few boxes. ​The final entry on our list took our salesman a long time to say. Is it worthy of such an elongated name? The “infrared” in the title refers to the cutting edge thermo-conductive inner coating of the beanie, which is designed to reflect or trap that precious 7-10% of body heat trying to leak out of your head. The beanie has an outer coating many would consider equally important – a DWR finish that repels water and doesn’t interfere with the hat’s breathability. This could give the hat an edge if you often hike in damp conditions – masochist! Like the Minus33 Merino Wool Ridge Cuff Beanie it is a one-size-fits-all design. Drum roll. The best winter hiking beanie/hat is…the Mountain Hardwear Dome Perignon. The hat with arguably the most innovative design on the list – a longer cut at the back than the front and an earband with extra insulation – delivers in a number of key areas. It is warm, windproof and breathable and cold, hard experience drives home the importance of a design that pays some attention to two of the most vulnerable – and neglected spots – hats can protect: the ears and the back of the neck. Mountain Hardwear’s lighter option, the Micro Dome, may appeal to lightweight trekkers, but can’t be relied on as a winter trekking hat in isolation. The Under Armour and Outdoor Research hats deserve honourable mentions for the inclusion of innovative features like thermal linings and water repellant technologies, but their basic designs weren’t quite as sound as that of the Dome Perignon. When you’re heading into the wild in winter you want to know that the basics are taken care of and that your gear can be relied on to deliver. Your grandmother would approve of the Mountain Hardwear Dome Perignon.